But it was later in the week — when, admittedly, the jet lag finally wore off — that I finally caught on. It became clear that Build Change faces a number of challenges, both logistical and societal, in promoting long-term resilience across Nepal. One of the largest challenges is more fundamental than you’d think: very few people have ever heard of retrofitting. 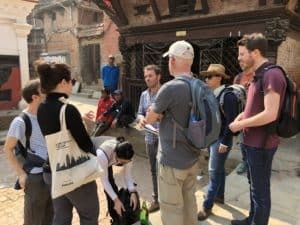 The average Nepalese homeowner does not know its benefits and government officials do not know that it is a cost-effective alternative to rebuilding. So, in this respect, Build Change is essentially starting from square one. 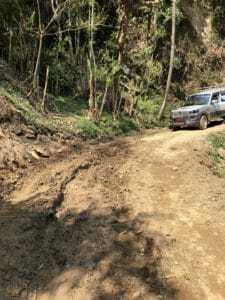 One logistical challenge – muddy dirt roads are common in many rural areas. To complicate matters further, government recovery aid provided to homeowners only covers costs related to completely replacing damaged homes; retrofitting costs are not reimbursed. Thus, homeowners are not incentivized at all to retrofit. In Nepal, like many countries I’ve visited for RMS model research, there is great pride associated with owning a home; many homes are passed down through the generations. Our trip to Dhunkharka showed us that rural homes are typically three stories tall; the cattle reside on the ground floor, the family lives on the middle floor, and grain sits on the top floor. For those homes damaged, the Nepalese government is quickly closing the window to claim government assistance. The resulting pressure typically leads homeowners to take the first aid installment and build an earthquake-resistant, one-story home. However, not wanting to appear to downsize, families move their cattle into the new home and continue to live in the compromised, three-story home. Most commercially-available catastrophe models base their vulnerability relationships on key, “primary” building characteristics, such as a building’s construction material and height. But beyond the commonly-captured primary characteristics lie an extra layer of “secondary” characteristics, meant to highlight unique features that set a structure apart from the average building stock. In many cases, these mitigative features are designed to protect the most vulnerable features of a structure, such as a roof or windows. Catastrophe model users use secondary characteristics to adjust a building’s vulnerability and commonly translate this into rate discounts to incentivize policyholders. Among the secondary characteristics most frequently used in earthquake modeling is retrofitting. In giving the Build Change staff a crash course in catastrophe modeling, it became clear to all of us that they were already beginning to capture the data necessary to inform a catastrophe model. Our trip to Kirtipur showed us that. So, why not build an earthquake model that can calculate the damage expected for retrofitted and non-retrofitted buildings — and then calculate the difference? 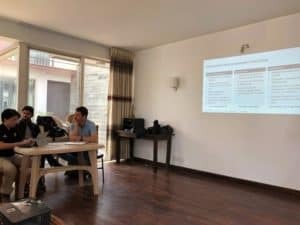 RMS does not have a Nepal earthquake model, but we had the building blocks all around us to stitch together a rough solution that would perfectly fit the bill for Build Change. They had the local knowledge and we knew how to build and use catastrophe models. By dinnertime, we ended up with a thorough framework which could be used as a basis to build an introductory earthquake model. 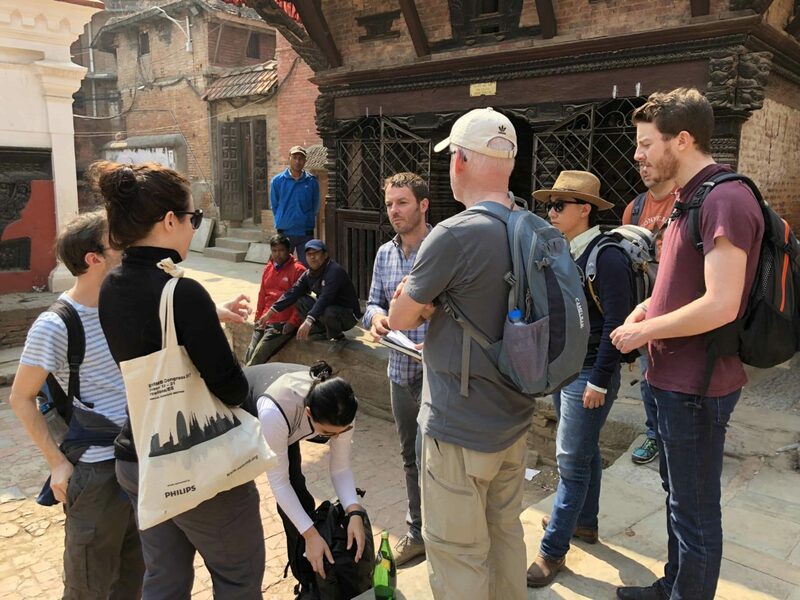 In addition to bringing in experts from all over the world into Nepal, Build Change hires brilliant local talent to support their efforts, including structural engineers, project managers, and computer technicians. 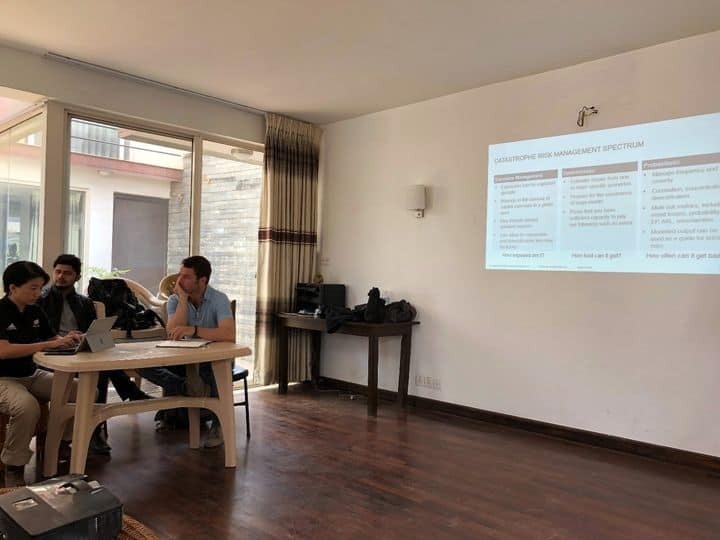 By the end of our week in Kathmandu, we handed this model framework off to their technical staff, who can build a software platform around it. 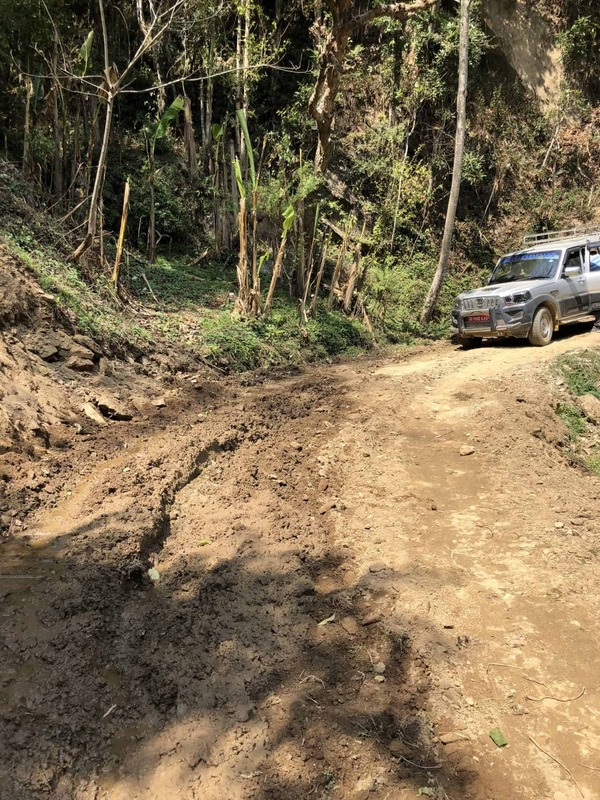 Build Change has operations ongoing all over the world and Nepal is one of the few countries they work in where an RMS catastrophe model does not exist. In the future, this approach could be extended to other areas and the pre-packaged solutions RMS offers can help Build Change communicate the key benefits of retrofitting to international governments in a quantitative manner. Tom is a Senior Product Manager in the Model Product Management team, focusing on the North Atlantic Hurricane Model suite of products. He joined RMS in 2009 and spent several years in the Client Support Services organization, primarily providing specialist peril model support. Tom joined RMS upon completion of his B.S. and M.S. degrees in meteorology from The Pennsylvania State University, where he studied the statistical influence of climate state variables on tropical cyclone frequency. He is a member of the American Meteorological Society (AMS).